The newer installs we make of CMSMS now include a powerful paste tool that you’ll want to use whenever you cut and paste content to your site from MS Word or any other applications. If you don’t see this icon in your CMS please contact us about upgrading. Normally, when you paste text content from MS Word it pastes with it MS Word background code which can distort your CMS styling or cause other undesirable effects. 1. 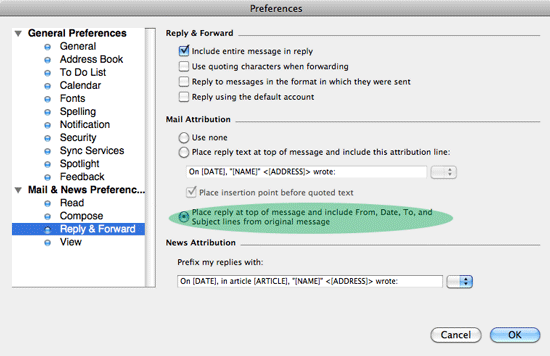 Highlight the content in Word, right click copy. 2. 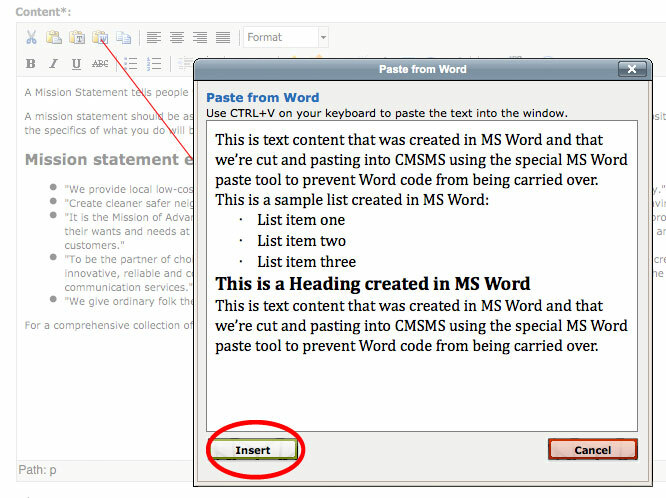 In your CMS page edit view, look for the MS Word Paste icon and click on it. 3. 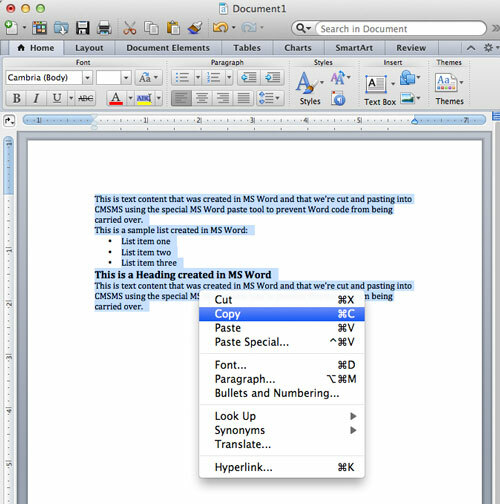 After the Paste from Word window opens, right click paste or CTRL-V, then click insert. 4. Your text now appears in your CMS edit window formatted without the MS Word background code. Adjust the styling and content if needed and press Submit or Apply to save. Note: You should use this tool when pasting from any other source, not just MS Word.